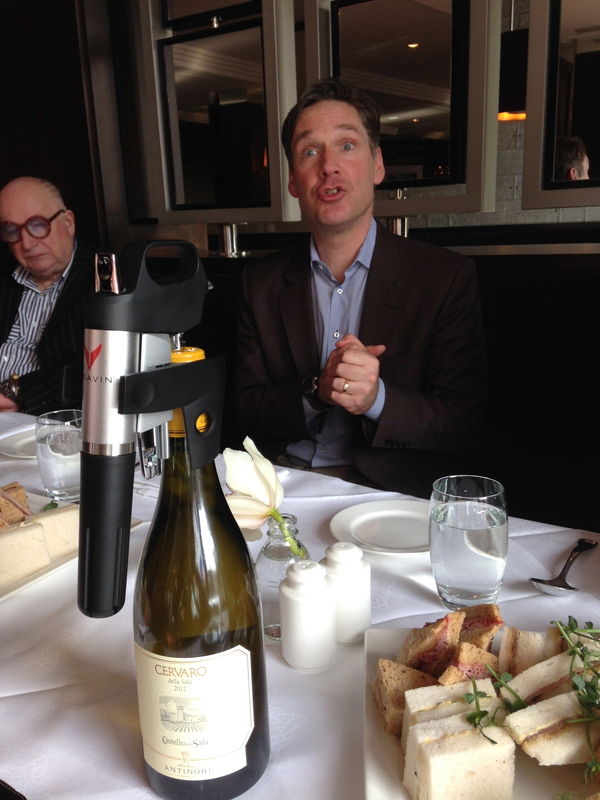 I went to the launch of Coravin in Ireland yesterday – a revolutionary pouring device that has been the talk of the wine world over the last few years. Founder Greg Lambrecht was there to give a very persuasive argument in favour of his system over anything else that has gone before. He is obviously a very bright guy, working as a nuclear engineer before starting several companies that invented new medical devices. Lambrecht became frustrated when his wife was pregnant. A wine-lover since his teenage years, he couldn’t drink an entire bottle of wine every night over dinner. Besides ideally he wanted a glass of white wine, then one of red, and possibly a glass of dessert wine too. And so he started off on a twelve-year process that was eventually to lead to Coravin. Having contacts in the medical world proved very useful; the Coravin uses a fine Teflon-coated needle and high quality argon gas. ‘We remove the best wine preserver – a cork – to get at the wine’, says Lambrecht. ‘But what if we didn’t have to? I wanted to be able to drink whatever glass of wine I felt like, and then move on to something else. I wanted to try six different wines if the mood took me.’ He focused on how to extract the wine without introducing any oxygen. The upshot is a very smart small piece of equipment that looks a little like a microscope. It has clamps to grip the bottle, a long thin needle that goes through the cork, and a capsule of argon gas that automatically replaces the wine as you pour out the desired quantity through a spout. Once you remove the needle, the cork springs back to reseal itself. It doesn’t work on screw caps and with difficulty on plastic corks, but apparently does on DIAM and composite corks. Coravin claims the wine will remain fresh for months if not years. There are other wine-preservation systems such as the Enomatic, but that is expensive and works best for multiple bottles; good for restaurants but not practical for home use. The Vacu-Vin and related Verre de Vin systems work for a short period. Nothing else performs for as long or as reliably as the Coravin promises. If it works it will be a real boon for a wine enthusiast; imagine being able to pour a glass of you’re a particular fine wine, reseal it and then try it again six months later. It will certainly offer great opportunities for lovers of vintage port and dessert wines; you really only ever want a glass or two after dinner. It should allow restaurants to offer a huge range of wines by the glass without fear of being left with an opened bottle that is rapidly oxidising. It could also allow wine shops to offer their customers multiple samples before they buy. And does it work? Well Jancis Robinson and Robert Parker are both big fans. Ch. Margaux uses it to test their wines before sending them abroad for tastings. At the launch we tried four wines before the bottles were sealed again. Apparently we will be invited back in three months to see how the wines are faring. I was also promised a trial model to use at home. I will keep you posted! 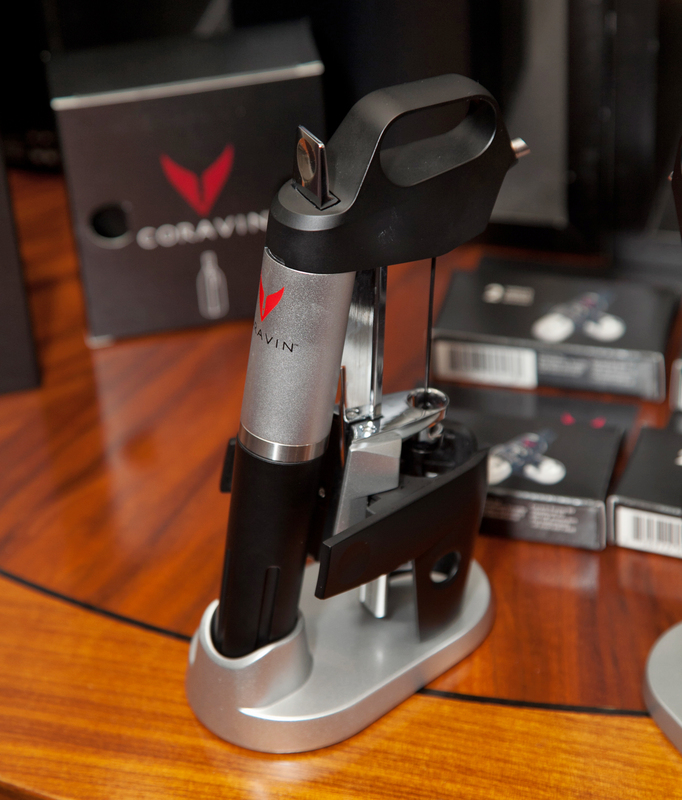 The Coravin is distributed by Findlaters WS, and is available through various retail shops including Jus de Vine, Redmonds and O’Briens for €299. A replacement capsule costs €19.99 and will work for around thirty glasses of wine.